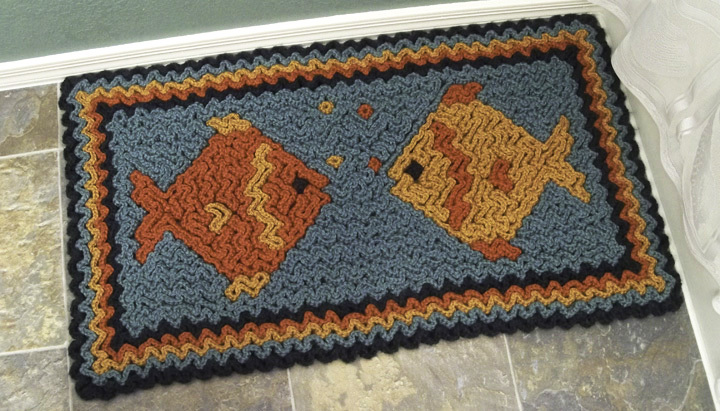 Once you’ve learned to do Wiggly Crochet, you’ll want to advance to the next level and make a wiggly rug! This rug is cushiony on bare feet and is reversible, too. It’s the perfect addition to any beach, fish or seashell themed bathroom, or any room with a tropical décor! This pattern includes written instructions and a wiggly crochet chart. Note: Our model was made with Patons Kroy Socks and Patons Shetland Chunky yarns.